Today we went for a walk in the Jalon valley and saw wild orange trees, nut trees, purple grape trees and cacao bean trees! We have lemon trees in the garden at the villa so can pick wild lemons. It’s fantastic to go outside and pick your own fruit! Later we drove to Orba to have lunch in Les Arcades. 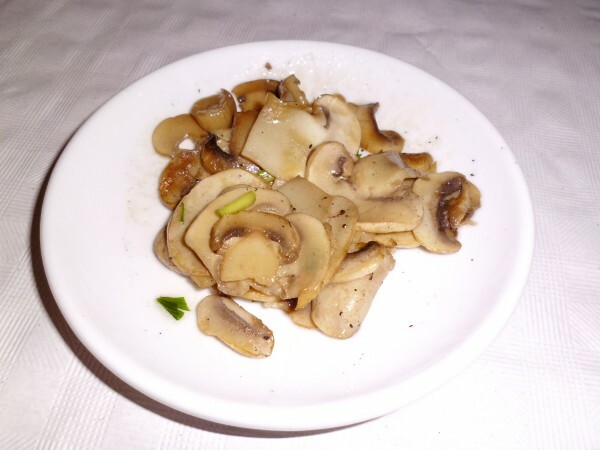 For tapas they had finely sliced, fried mushrooms seasoned in olive oil, garlic and parsley which were very tasty. 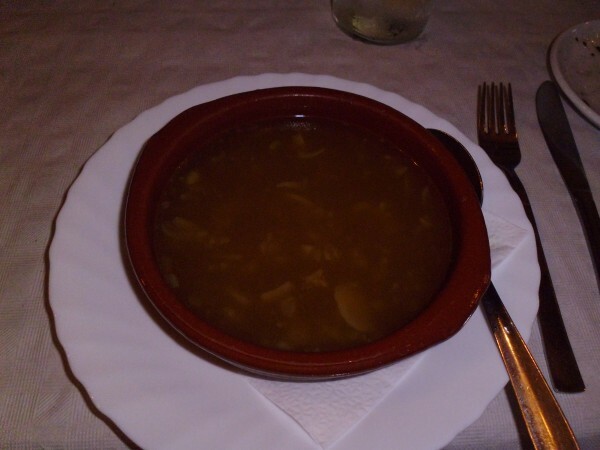 For starter I had the sopa de cebolla/onion soup which was tasty. 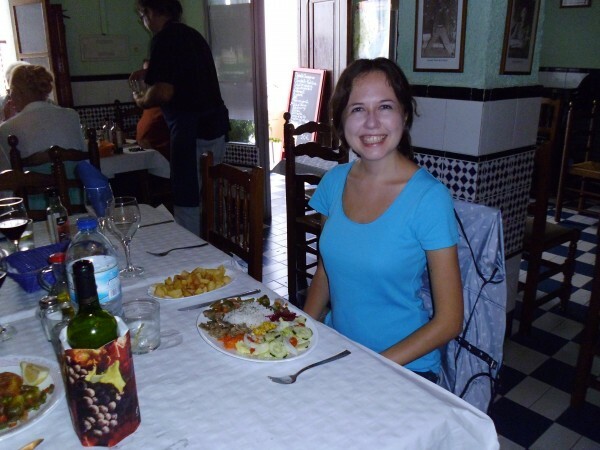 All the main meals contained meat, but we asked the waiter if they could prepare some vegetables. 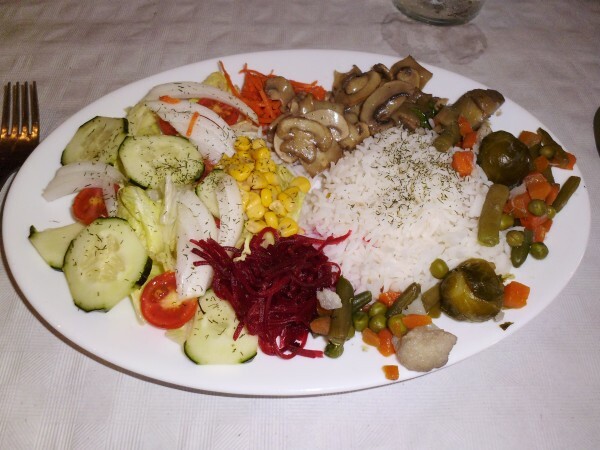 Later on he brought out a stunning dish of rainbow coloured vegetables with rice, mushrooms and patatas which was amazing! For dessert I had cantaloupe melon. After that we were stuffed! 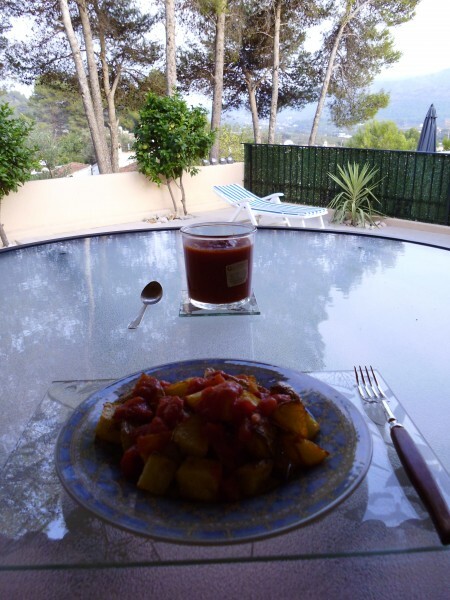 So it really is possible to eat vegan while in Spain! Buenas dias! Today we went into Calpe to do some shopping. Unfortunately on the way back it poured with rain, so much so that we couldn’t cross the road to walk back to the car as the road had turned into a river! So we ran into the Spanish restaurant El Paseo to shelter from the rain and have lunch while we waited for the rain to stop. 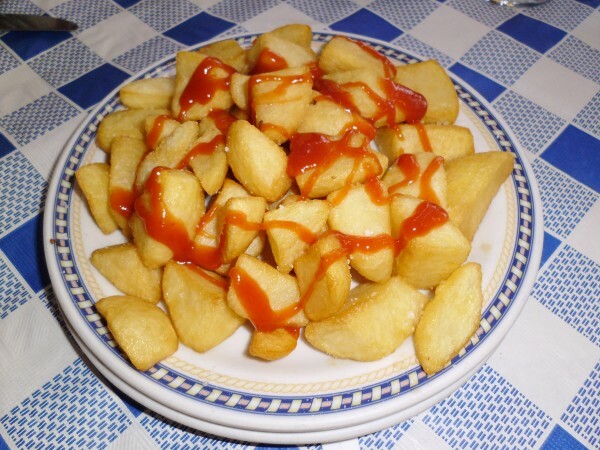 The only vegan meal on the menu was Patatas Bravas! It is becoming one of my favourite meals! 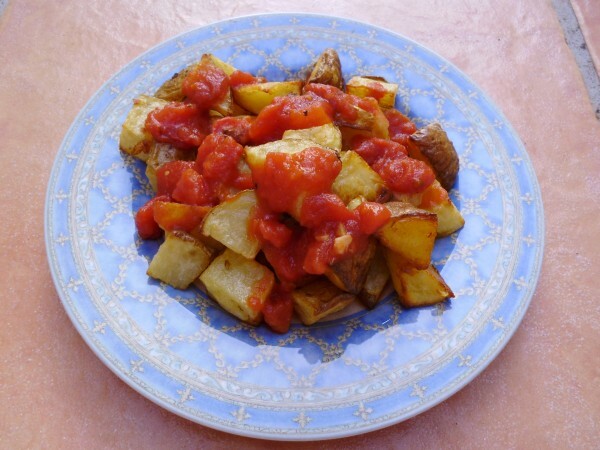 Crispy potatoes with spicy tomato salsa sauce! 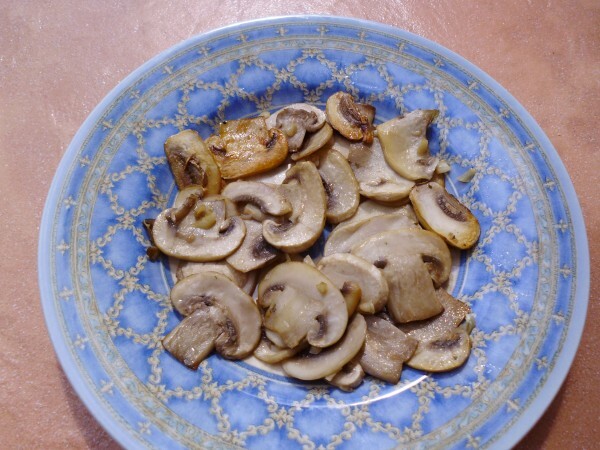 I will keep you updated with other vegan meals that I find in the restaurants!